Fossil cast of Mawsonites spriggi thought to be a jellyfish imprint. Found in South Australia and creature existed in the Late Neoproterozoic. 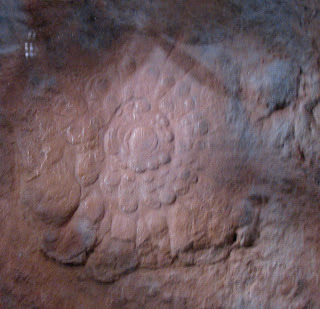 Fossil on display at Smithsonian Museum of Natural History on August 2010. Learn more about it at Wikipedia.